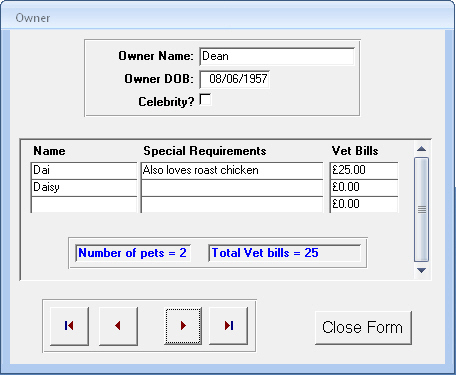 Create form and subform combination based on the Owner and Pet tables that resembles the example shown below. You can do this using the Form Wizard or by creating the two forms separately and dragging the subform onto the main form. Save both forms with sensible names and then close them down.